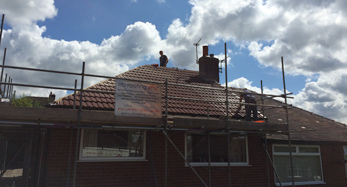 We are a roofing company based in the heart of Oldham which is in the North West. With many years’ experience in the building & roofing field, We go the extra mile to ensure customer satisfaction is guaranteed. You will get an honest opinion from our director for whatever problem you may have. 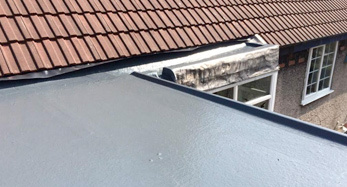 I am a firm believer in one of my granddads best sayings ”what man made, man can repair” We have many happy customers to date and encourage new customers to speak with previous customers regarding work undertaken by EB roofing. A good referral will be guaranteed as we take pride in our work! 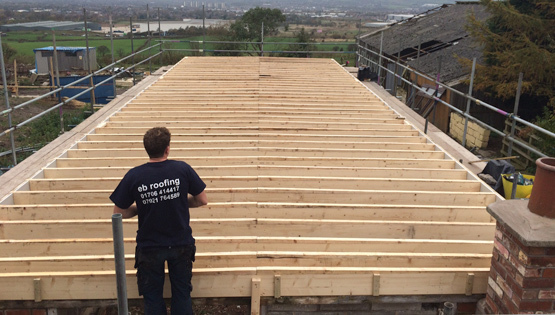 Any issues you have have on a commercial property weather its a pitched, flat or cladded EB roofing has operatives that can carry out general repairs or a complete over haul. 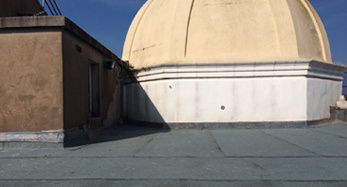 EB operatives are trained to high standards when installing this GRP Fibre Glass roof, This roof is maintenance free and comes with long life span guarantees. Tile roofs do their job very well and have a general life expectancy off around 30 to 40 years. New products are always coming on to the market that are available. 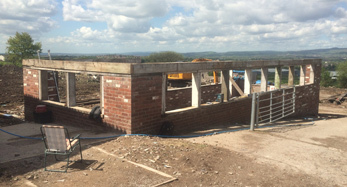 EB has taken on projects of re-building walls, building porches, flat to pitch roof construction, lower ceilings, removing internal walls to create an open plan feel.